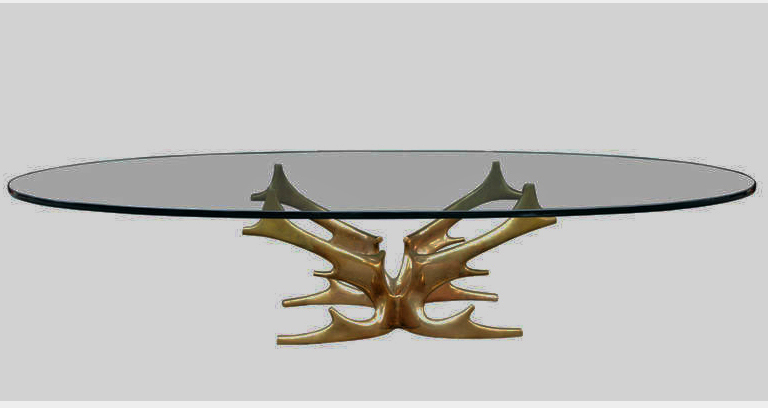 Table basse Cornes en bronze poli par Victor ROMAN, 1970’s. Rare table basse sculpture, 1970’s. en bronze poli doré, au plateau de verre ovale. Table : haut.46 x long.169 x prof.109 cm. Sculpture haut.45 x long.70 x prof.45 cm. 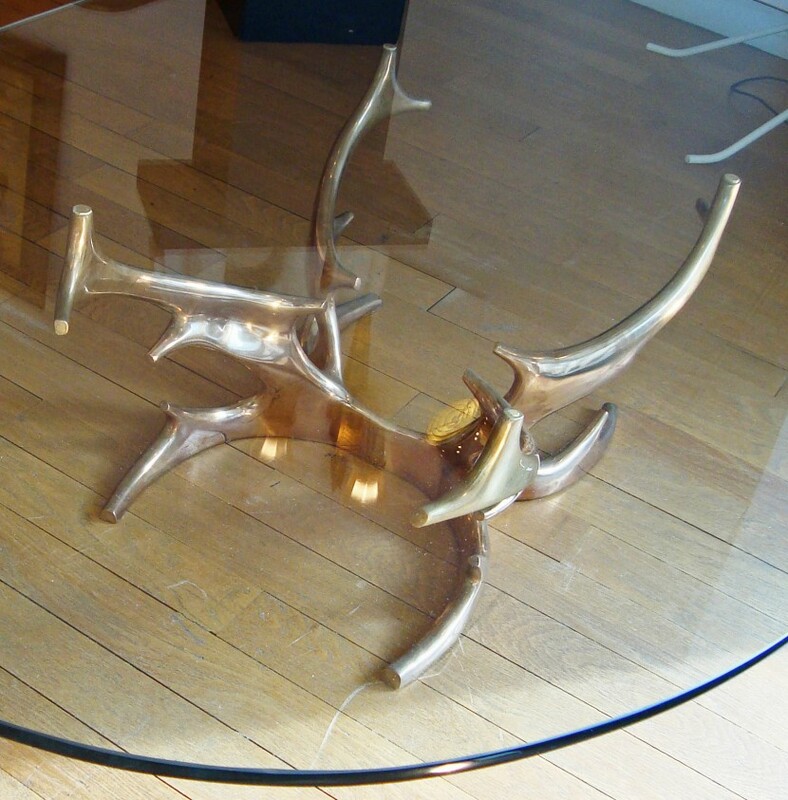 Rare gilt polished bronze sculpture as a coffee table, 1970’s. with a large oval glass top. Table height 18 x length 66,5 x depth 43 inches. Sculpture height 17,5 x length 27,5 x depth 17,5 inches.